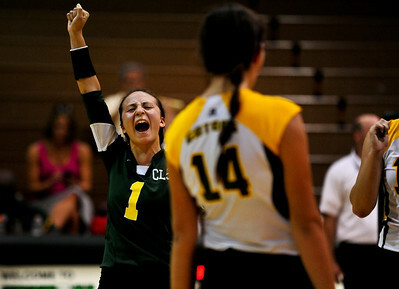 Josh Peckler - Jpeckler@shawmedia.com Crystal Lake South's Nicole Jurkash celebrates the final point of the match after defeating Cary-Grove 2-0 at Crystal Lake South High School Tuesday, September 4, 2012. Josh Peckler - Jpeckler@shawmedia.com Cary-Grove's Ally Vasquez attempts to tip the ball past Crystal Lake South's Avalon Nero during the first game at Crystal Lake South High School Tuesday, September 4, 2012. 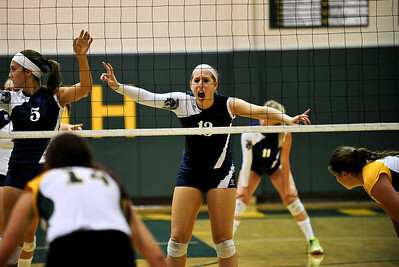 Josh Peckler - Jpeckler@shawmedia.com Crystal Lake South libero Katie Meyers, celebrates a point against Cary-Grove during the first game at Crystal Lake South High School Tuesday, September 4, 2012. Crystal Lake South went on to win the match 2-0. 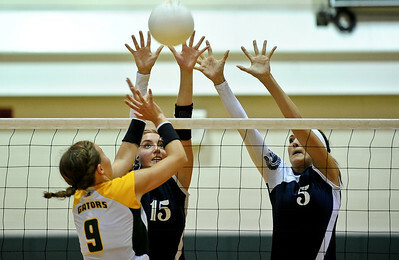 Josh Peckler - Jpeckler@shawmedia.com Crystal Lake South's Nicole Jurkash (9) tries to put the ball past Cary-Grove blockers Jess Bartczyszyn (15) and Kayli Trausch at Crystal Lake South High School Tuesday, September 4, 2012. Crystal Lake South went on to win the match 2-0. 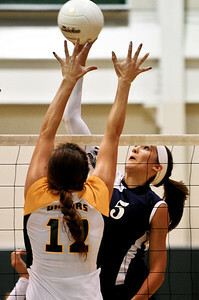 Josh Peckler - Jpeckler@shawmedia.com Cary-Grove's Kayli Trausch (5) tries to hit the ball past Crystal Lake South's Nicole Slimko during the first game at Crystal Lake South High School Tuesday, September 4, 2012. Crystal Lake South won the match 2-0. 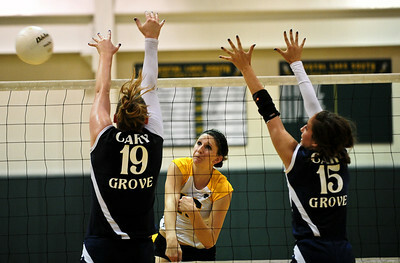 Josh Peckler - Jpeckler@shawmedia.com Crystal Lake South's Carly Nolan (16) tries to put the ball past Cary-Grove blockers Jess Bartczyszyn (15) and Mallory Wilczynski (19) at Crystal Lake South High School Tuesday, September 4, 2012. Crystal Lake South went on to win the match 2-0. Josh Peckler - Jpeckler@shawmedia.com Cary-Grove's Sam Katchen (13) yells out Crystal Lake South player positions during the first game at Crystal Lake South High School Tuesday, September 4, 2012. Crystal Lake South went on to win the match 2-0. 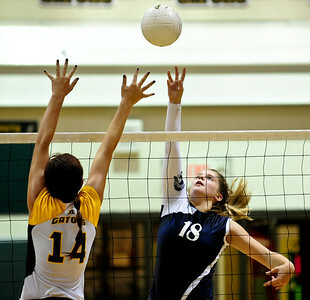 Josh Peckler - Jpeckler@shawmedia.com Crystal Lake South's Nicole Slimko (12) attempts to block Cary-Grove's Alex Larsen during the second game at Crystal Lake South High School Tuesday, September 4, 2012. Crystal Lake South went on to win the match 2-0. 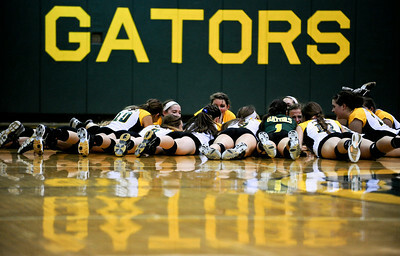 Josh Peckler - Jpeckler@shawmedia.com The Crystal Lake South volleyball team perform a cheer prior to their match against Cary-Grove at Crystal Lake South High School Tuesday, September 4, 2012. Crystal Lake South won the match 2-0. 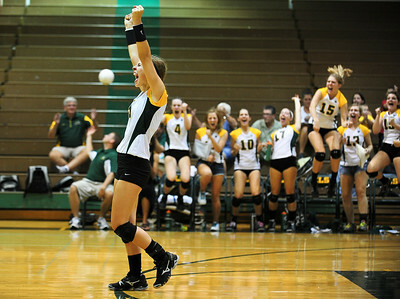 The Crystal Lake South volleyball team perform a cheer prior to their match against Cary-Grove at Crystal Lake South High School Tuesday, September 4, 2012. Crystal Lake South won the match 2-0.